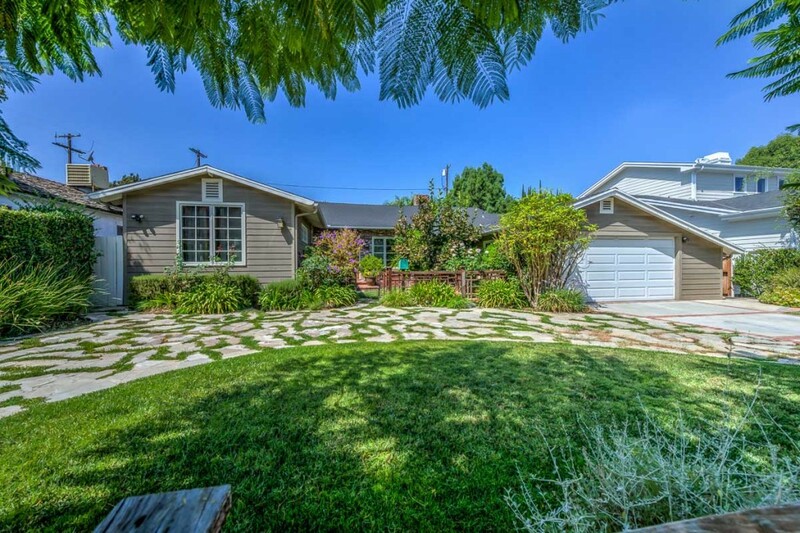 Fantastic remodeled 3 bedroom, 3 bath pool home located in the highly desirable Encino Woods neighborhood. This beautiful traditional ranch-style home sits on a quiet cul-de-sac and is set back from the street behind a circular driveway and lush foliage. The light bright interior boasts soaring wood-beamed ceilings, skylights, hardwood floors, recessed lighting, grand chef’s kitchen with center island and top-of-the-line appliances, separate large den with fireplace and gorgeous remodeled bathrooms. The living room, dining room and generous master all open up to the spacious backyard area complete with a sparkling pool. This home sits in a unique prime pocket of Encino close to all amenities and located in the highly sought after Hesby Oaks Schools District. A rare and very special offering not to be missed!